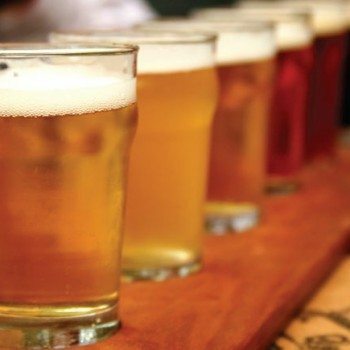 Sales of craft beer in the US continued to slow in the first half of 2017, with the sector experiencing continued but much steadier growth year-on-year, according to the latest statistics from the Brewer’s Association. American craft beer production volumes increased by 5% in the first half of 2017. Mid-year figures from the Brewers Association, the trade group for independent brewers, shows that American craft beer production volumes increased 5% in the first half of 2017. That’s slightly less than 2016’s mid-year increase of 8% and notably lower than the 16% mid-year production increase of 2015. Despite production volumes slowing, the number of craft breweries operating in the US continues to grow. As of June 30, there were 5,562 operating breweries in the US, an increase of 906 from the same time period the previous year. Additionally, there were approximately 2,739 breweries in planning, according to the Brewers Association. It adds further weight to the caution demonstrated by US stockbroker Goldman Sachs. Last week its analysts downgraded stocks in two of the biggest US brewing companies citing a continued drop in US beer consumption and a shift towards wine by millennials. The stockbroker downgraded its rating of shares in Constellation Brands from “buy” to “neutral”, causing its value to slide by 1.2% on Monday (July 24). The stockbroker also downgraded Boston Beer Co., rating its stocks as ‘to sell’, causing its value to drop by 5%. However the Brewers Association is confident about the sector’s future growth prospects, despite millennials apparent taste for wine.